On 24th February 2017, we had KGISL ADDON HACK at KGiSL Institute of Technology, Coimbatore. Mr. Viswaprasath, the speaker of the event, initiated the workshop by giving a brief introduction about the Mozilla Community and its various tracks. Firstly Mr.Viswa explained about the need for browser addons and how it is useful for the users. 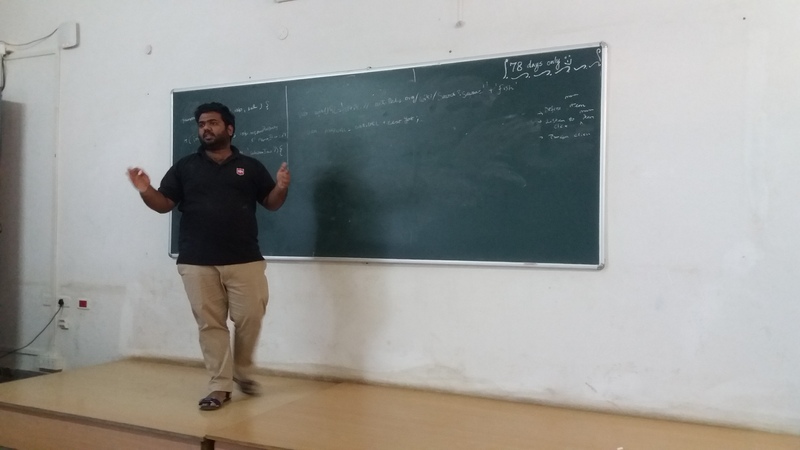 He also explained how popular addons like ad-block works. Then he started explaining how to create addon with chalk and board. He explained about manifest file and about various things that can be done with addons. The topics that we saw on the day were Context Menus,notification,Browser action,Page Action. We as a team created an addon, which search for the selected word in various search engines and websites. We used context menus that holds different search engine names. When the text is selected and particular search engine name is clicked in the context menu, the search result of the particular word in the particular website is updated in the same tab. We successfully created the addon and debugged it with Firefox Nightly and Firefox Quantum browsers. We ended the session by distributing swags to participants. Thank you every one who participated in the event. ICT and Support team of KGISL and KGISL Management. Mozilla KiTE is club under MozillaTN community actively contributing to various contribution of mozilla.